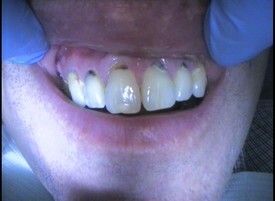 Before: Patient had a discolored tooth from a traumatic accident years ago. 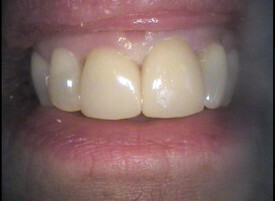 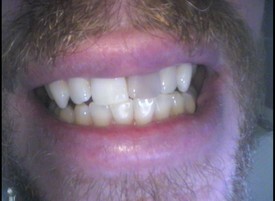 After: All ceramic dental crown made a significant improvement in his smile and strengthened the tooth as well. 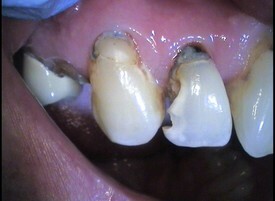 Restorations by Dr. Babbitt and lab work by Pacific Gnathologicals, Ventura,CA. 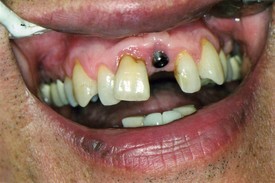 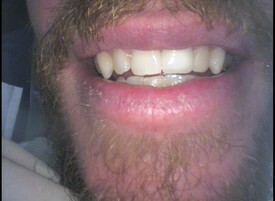 Patient presented with failing composite(white) fillings and poorly shaped front teeth. 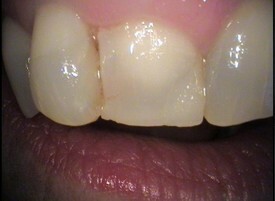 Chipping of the edge of the teeth was also a concern. 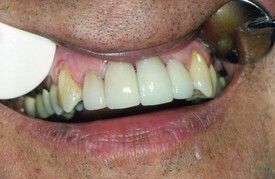 Restoration included custom made provisional dentistry, diode laser tissue augmentation and final restoration with all ceramic crowns (Pacific Gnathologicals Dental Lab). 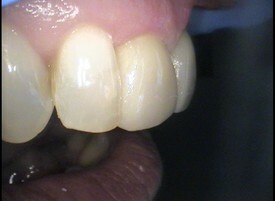 Note the new healthy tissue around the final crowns. 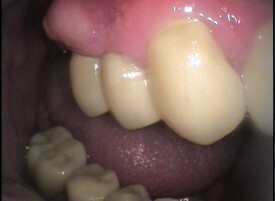 Full Mouth Rehabilitation. 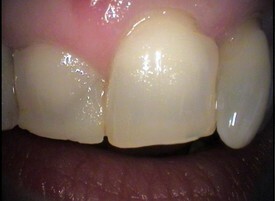 Deep cavities were causing esthetic and sensitivity problems. 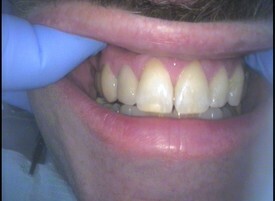 restoration was accomplished with esthetic composite fillings on the front teeth and all ceramic (no metal) crowns on other teeth.